You are here: Home / Hockey Psychology Articles / Welcome to Hockey Psychology Tips! Welcome to Hockey Psychology! I’m Dr. Patrick Cohn, owner of Peak Performance Sports, LLC in Orlando, Florida. I help hockey players, of any level, and their coaches and parents improve mental game skills and mental toughness for competition. I also help you mentally prepare to perform your best at game time and get the most out of your practice. I help you identify the mental game barriers that get in the way of peak performance in hockey. 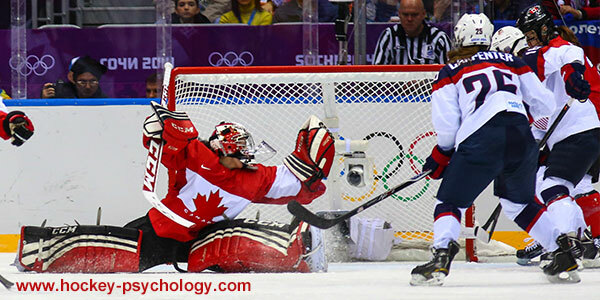 At Hockey Psychology Tips, you’ll learn how to think like a confident player and harness the power of mental training. You’re only as strong as your weakest link… If you mental game holds you back from playing consistently well in every game, you’ll benefit from mental training for hockey.